Product prices and availability are accurate as of 2019-04-10 15:03:50 UTC and are subject to change. Any price and availability information displayed on http://www.amazon.com/ at the time of purchase will apply to the purchase of this product. High flow reverse osmosis system. Capable of producing 1,000 gallons per day. 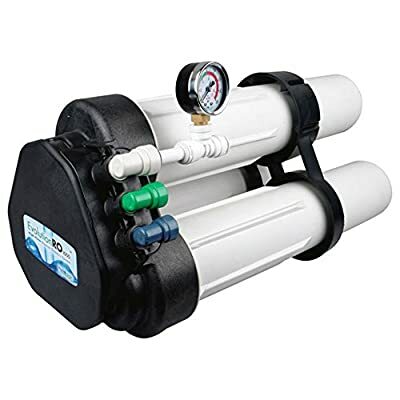 Includes two RO membranes (HL22045), one KDF/Carbon material filter (HL22043), and all required fittings. The Pre-Evolution is recommended if more than 150 gallons per week is produced (see Related Items tab).